Zhongshan Yousheng Electric Appliances Co., Ltd.
Yousheng is ISO 9001 certificated manufacturer, our wine chillers mainly have three series: direct cooling wine chiller, air cooling wine chiller and cigar storage cooler. In order to providing better service, we have established many service center in most cities, and each professional stuff can answer and solve your questions very accurately. In urgent case, we can provide door to door service in 24 hours; We have sale agents to promote our own brand in almost every cities and provinces. 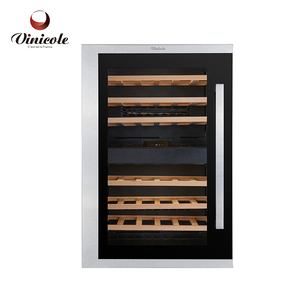 , is one professional manufacturer of wine coolers in China, our factory locates in Huangpu of Zhongshan (close to well-known Galanz Zhongshan centers). Yousheng is ISO 9001 certificated manufacturer, our wine coolers mainly have three series: direct cooling wine coolers, air cooling wine coolers and cigar storage cooler. In order to providing better service, we have established many service center in most cities, and each professional stuff can answer and solve your questions very accurately. Saixin Electrical Appliance Co., Ltd.
Q: What's your delivery time9 A: Sample 7 days, Container order:35-40 days after paying the Deposit Q: What's your payment term. it would be very convenient for you to start your business first. Q: Can you print our logo on your goods9 A: Sure, we are glad you can do that, we want to help you build a good brand. 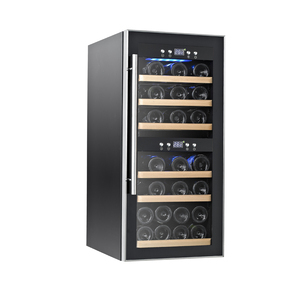 FEATURES Provides wine with optimal protection from agitation, allowing wine to come to full maturation. Store up to 28 bottles of wine total w/ (7) 4-bottle smooth-glide wine racks 2.9 cu. ft. Q: How long is your delivery time9 A: Generally it is 25 days after the confirmation of artworks. Zhongshan Deetsen Electric Appliance Technology Co., Ltd.
Shenzhen Vsong Electronics Co., Ltd.
Our company owns R&D center and experiences a longer cooperation with many R&D units and higher institutions. 1.Do I need to refill the Refrigerant9 -If shipment by sea, it will come together with the refrigerant. 2. Production process is under strict supervision and adopts China and world toppest production engineering. 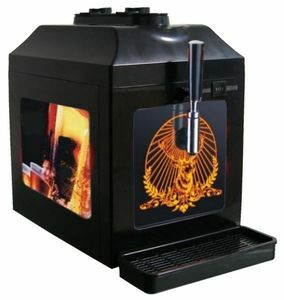 Alibaba.com offers 1,878 wine chiller refrigerator products. About 11% of these are refrigeration equipment, 5% are refrigerators, and 5% are industrial chiller. 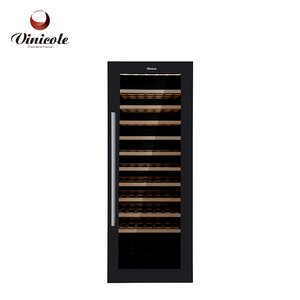 A wide variety of wine chiller refrigerator options are available to you, such as ce, ccc, and rohs. You can also choose from display cooler, freezers, and air-cooled. As well as from single-temperature, double-temperature. And whether wine chiller refrigerator is free samples, or paid samples. 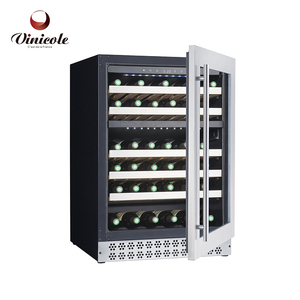 There are 1,793 wine chiller refrigerator suppliers, mainly located in Asia. The top supplying countries are China (Mainland), India, and Malaysia, which supply 99%, 1%, and 1% of wine chiller refrigerator respectively. Wine chiller refrigerator products are most popular in North America, Western Europe, and Northern Europe. You can ensure product safety by selecting from certified suppliers, including 707 with ISO9001, 241 with Other, and 57 with ISO14001 certification.